I recently was able to try out La Belleza hyaluronic acid. This stuff is great for moisturizing the skin. It is the best anti-aging and anti-wrinkle product available! I have been using it for about a week. It feels great on the skin. I know the word acid sounded a little scary to me but it does not burn or sting when you put on your skin. It has made my skin tighter with less wrinkled. My skin looks more vibrant and colorful. The directions say to apply twice daily which is what I have been doing now for a week and I have really noticed a big difference in my skin. It contains some great vitamins and natural components that really rejuvenate and heal the skin. I am really enjoying the benefits of this product and plan to continue using it. 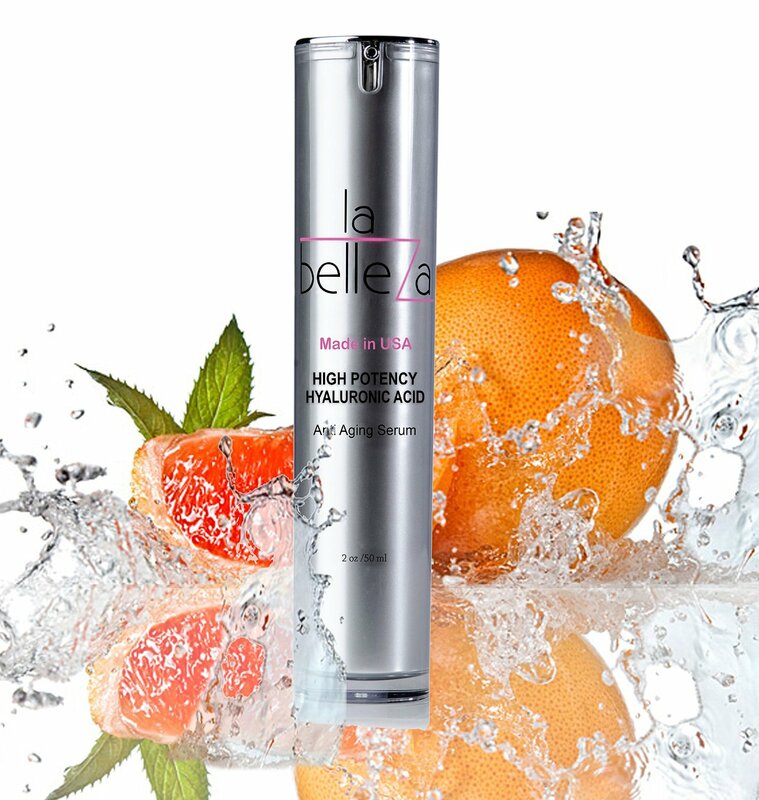 La Belleza Anti Aging Serum gives you the 3 R Benefit – Retains moisture, Repairs and Rejuvenates Skin and Restores Glow. Synergistic Combination of High Quality Ingredients for Maximum Results! With powerful antioxidants like vitamins C and E, La Belleza DECIMATES free radicals and reverses signs of aging, leaving your skin youthful and radiant. Get ready to get back the glowing skin of your 20s. Formula also contains L-Arginine and Trylagen, which contribute to collagen synthesis and boost collagen stores in your skin. Vitamin C also repairs and regenerates skin cells. La Belleza is a comprehensive skincare and anti aging formula for powerful results against all signs of aging. Made in USA in FDA approved facility by manufacturer with 30+ years experience. 100% natural formulation with no side effects. Suitable for all skin types. FREE Report! Anti Aging Super Food Formula, available with purchase of La Belleza Anti Aging Serum. 100% Money Back Guarantee. Not satisfied with the results? Let us know and we’ll refund your money- no questions asked! La Belleza works! Clinically proven formulation. Studies showed 95% participants experiencing improvement in their skin within 28 days of use. HIGH Potency Hyaluronic Acid Formulation! Our product has high concentration of hyaluronic acid, giving you the best results in the quickest possible time. 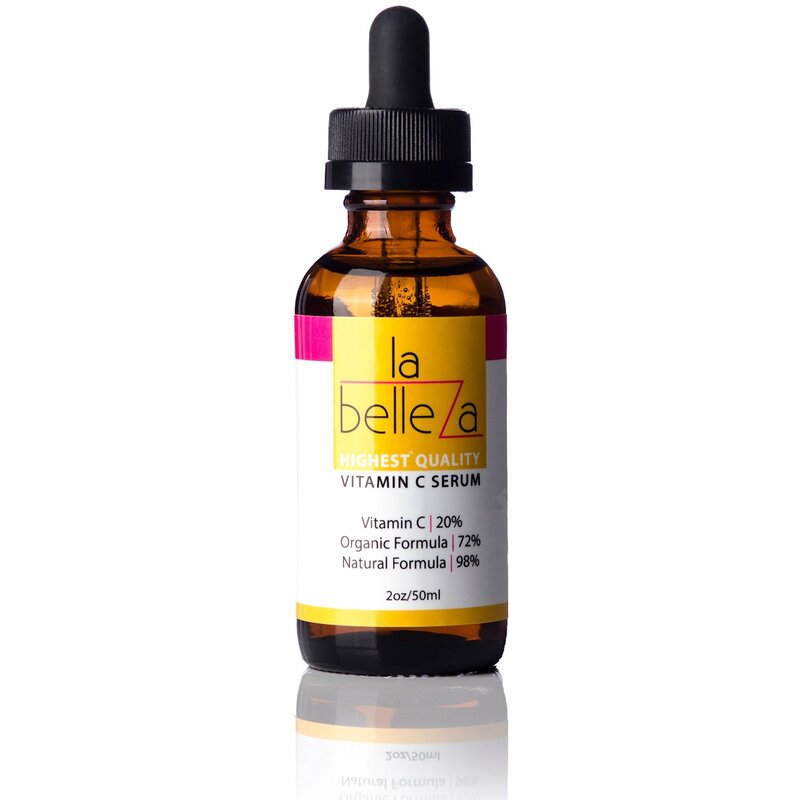 I just tried out La Belleza Vitamin C serum and I love it! I’ve been using it for about a week and it has really helped to make my skin more youthful, vibrant, softer, and tighter. After receiving the product I read the instructions. They state to wash and pat dry the face, apply toner if you use it first, then a thin layer of La Belleza vitamin C serum and allow to dry. Then apply moisturizer and sunscreen. I have been following this routine and I have really noticed a big difference. My skin is softer and feels more protected. I like the way the product feels on the skin it is not sticky and dries quickly. I noticed that my skin looks more vibrant and younger which I love. I have even noticed that it feels more firm and less wrinkled. I am loving this product! Synergistic Combination of High Quality Ingredients for Maximum Results! With powerful Vitamins C 20%, Organic 72% and Natural 98% formulation La Belleza DECIMATES free radicals and reverses signs of aging, leaving your skin youthful and radiant. Get ready to get back the glowing skin of your 20s. Vitamin C repairs and regenerates skin cells. La Belleza is a comprehensive skincare and anti aging formula for powerful results against all signs of aging. Made in USA in FDA approved facility by manufacturer with 30+ years experience. 100% natural formulation with no side effects. Suitable for all skin types. FREE Report! Anti Aging Super Food Formula, available with purchase of La Belleza Anti Aging Serum. 100% Money Back Guarantee. Not satisfied with the results? Let us know and we’ll refund your money- no questions asked! La Belleza works! Clinically proven formulation. 98% Natural 72% Organic. HIGH Potency Vitamin C 20% Formulation! Our product has high concentration of Vitamin C, giving you the best results in the quickest possible time.